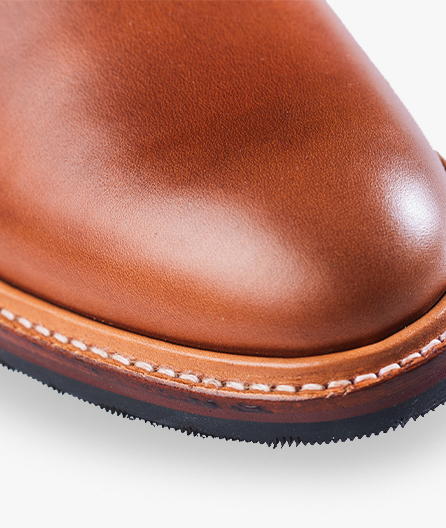 Created as an ode to the hard-working men and women that built this country, the Florsheim Foundry Cap Toe Boot combines retro-chic styling with the very finest premium leathers. 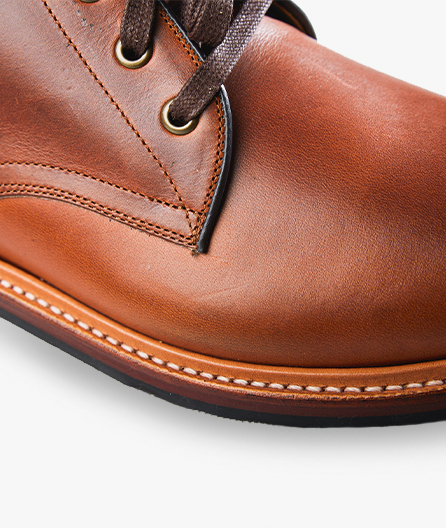 This modernized work boot features famed Horween Chromexcel leather from Chicago, IL. Tanning Chromexcel is a process that requires 89 separate steps over 28 days. The result is a supple leather that is renowned for its depth of color, durability and only gets better with age. Like the rugged men it honors, this Foundry takes its work ethic seriously. Natural leather upper for a luxurious look and buttery soft feel. Horween colorways: Legendary Horween Chromexcel ® leather, famed for its softness and depth of color. 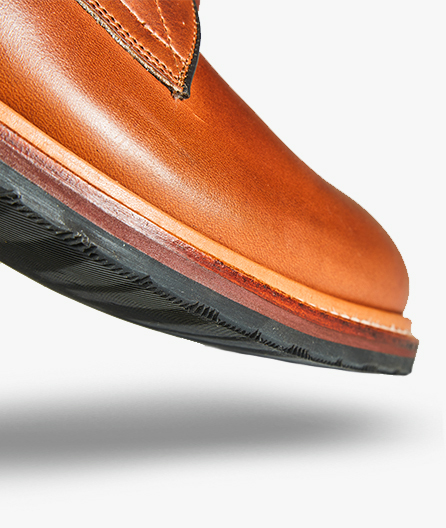 Goodyear welt construction adds flexibility, durability and allows for the shoe to be resoled. Flexible yet durable outsole offers out-of-the-box, all-day comfort.